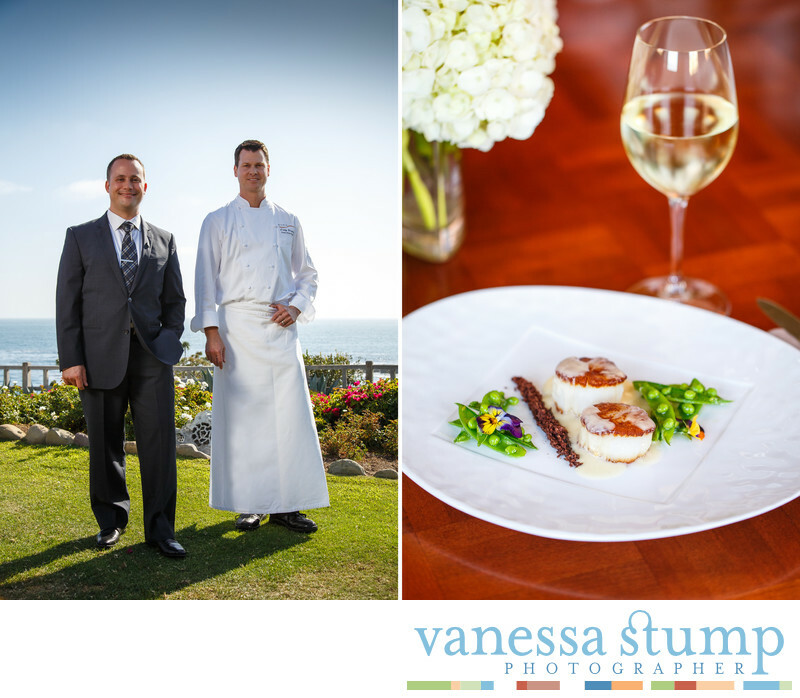 Portrait of sommelier Troy Smith and executive chef Craig Strong at the fine dinning restaurant Studio located on the cliffs in Laguna Beach with stunning coastline views. This story was photographed announcing that Studio received Wine Spectator's Grand Award the publication's highest honor.Sommelier Troy Smith oversees the restaurant's wine list. Location: 30801 South Coast Highway, Laguna Beach, CA 92651.